First up is new girl group Chi Chi with their song “Don’t Play Around.” I could barely watch the performance just because of their styling (bad stylists). The song is a bit generic dance, and their choreo was like electric cheerleader, but the girls performance was not bad considering what they had to work with. Will I ever watch a performance of this song again? No. G.Na was up next with her newest song “Already Miss You.” It’s a pretty good song, but again her styling… Wae? The performance was a bit lackluster. Lee Jung belts out his comeback ballad “Why Is The Love.” He actually sings it well with a little jazzy feel to it. Hey G.Na take note, this is how you own the stage as a soloist. Maya comes back with the heavy hitting “So Pain, So Bad.” Not a big fan of the song, but Maya sang the heck out of it. Trio M to M deliver a powerful performance of their song “Nothing More Than Trash To You.” It’s the first time I’ve heard them and the song, but it won’t be the last. My boys C.N.Blue comeback to the Countdown. First up, my fave song on the new album “Love Rides the Rain.” Loved the performance- simple, clean and awesome. Hangroo comes back with her song, “My Boy.” Cute choreography, that’s it. In addition to their performance of “Tonight,” Big Bang also performed “Somebody to Love.” This is probably one of my fave stages for them, especially for a song I’m still trying to like. 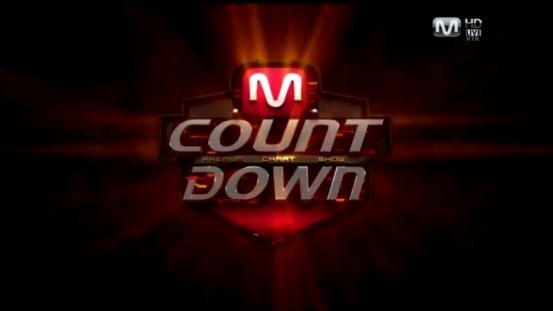 The top three on the Countdown this week were K. Will, SG Wannabe, and Wheesung with Wheesung taking the win. I get my music shows mixed up, is Countdown one of those where you can only win three times or did these guys actually surpass Big Bang? Other performances included: 5Dolls, Girl’s Day, Kan Mi-youn, and ZE:A. If you’re interested, try checking them out here.